Meals for Seniors | Harmony Caregiving Inc. It can be tough to ensure your loved ones are eating properly, especially when you can’t be present to help them. Because of this, Harmony Caregiving is pleased to offer in-home Meals for Seniors services. 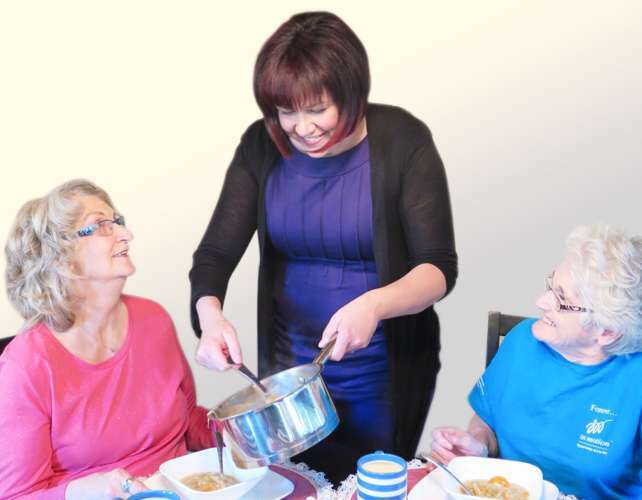 Whether it be that your loved one is physically unable to prepare the meals they once enjoyed, or that they are starting to lose the mental capability to finish preparation, we will ensure your loved one is fed with the care they deserve. Caregivers will provide cooking and cleaning services for you or your loved ones, and will ensure all of the home-cooked meals are prepared within the dietary restrictions you require. You will have fresh, never pre-cooked meals prepared for you, leaving only a spotless kitchen behind. Religious Dietary Restrictions: Kosher, Jhatka, Christian Orthodox, Halal, etc. Personal Choice and Allergy Restrictions: Vegetarian, Vegan, Organic, etc. Disease or Allergy Restrictions: Diabetes, Heart Disease, Obesity, Celiac, Lactose Free, Crohn’s Disease, etc. By working with you, your loved one, and your loved one’s doctor, we can tailor a meal plan that will meet your loved one’s dietary needs. Contact us to learn how home meals for seniors can make your loved one feel healthier and younger! In some cases, your loved one may still have the want to cook for themselves without having the full capability. In this case, your loved one would have the option to cook with their caregiver as little or often as they desire. Furthermore, the Meal Preparation For Seniors service caregiver can visit your loved one as many or few times a day/week as they require. Finally, you can leave the grocery shopping and dishes to us, leaving your loved one to only be responsible for enjoying their home-cooked meal. Contact us to learn more about how Harmony Caregiving can help you and your loved one with meal preparation for seniors.